The glamour of the popular resorts on Hilton Head Island often overshadow one of its oldest communities, Mitchelville. The village ascended from the embers of battle and the glory of freedom and is home to St. James Baptist Church, one of the oldest remaining institutions in the historic island hamlet. The Civil War battle of Port Royal took place on November 7, 1861. Union troops defeated Confederate troops at Fort Walker on Hilton Head Island and Fort Beauregard on nearby St. Philip’s Island, with most landowners fleeing the area and abandoning their properties in the process. The result left hundreds of slaves occupying the land along with Union soldiers. The vast number of remaining slaves were unsure of their next step during this time of transition. Were they free or were they slaves? Union officers sought help from the government to create a humane solution to the problem of where to house the displaced slaves. In April of 1962, a military order was issued granting the slaves of this area their freedom. But the question of how and where they would live remained. After attempting to shelter the freedmen in a military-style camp, it was clear that a long-term plan was needed to ensure the freedmen’s success. Union officer General Ormsby Mitchel designated a local area to be established as an official freedmen’s village, including an appointed teacher and voting districts. This new community, Mitchelville, was named for General Mitchel. It is the oldest community to require compulsory education. 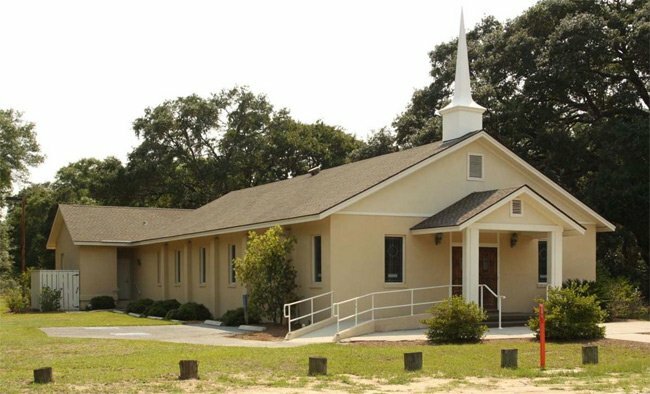 St. James Baptist Church in Mitchelville was formed in 1886 by members of the former African Baptist Church. The current building is the congregation’s third, built in 1972. Learn more about the rich and important history of Mitchelville.